The Trophy Rock Mineral Lick is an all natural mineral supplement to provide deer with the electrolytes and trace minerals they need for optimum health. 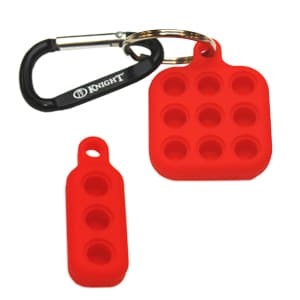 Seth McGinn’s CanCooker is the simplest, healthiest, and most convenient cooking system available. The CanCooker takes the cattle drive tradition of cooking in a cream can and updates it for today’s busy lifestyle. Pack the CanCooker with ingredients and enjoy a mouthwatering, slow-cooked meal in a fraction of the time. Use it indoors and outdoors to cook a healthy meal on any stovetop, campfire, burner, grill or the new Multi-Fuel Burner, Portable Cooktop. A 100% waterproof Dry Roll compartment makes this bag perfect for storing your important supplies without worrying about the elements. The GAIA Waterproof Hip Pack comes with 2 external pockets with splash-proof zippers, a mesh side water bottle pocket, and an adjustable, padded, and comfortable waist strap. 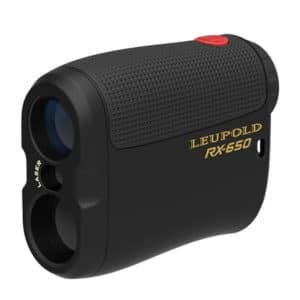 The Leupold® RX®-650 digital laser rangefinder is simple and affordable, delivering an incredibly accurate line of sight measurements in yards or meters out to 650 yards. The RX-650 features fully multicoated optics, 6x magnification, high contrast LCD display and rubber armor for a positive grip in all weather conditions. Lightweight, compact and weatherproof, the RX-650 is there when you need to go the distance. The 209 Bare Primer Caddy keeps your primers safe while you are traversing out in the field.